Up to 8 quarts of Dexos 1 0/20 synthetic blend oil change and ACDelco oil filter. Includes tire rotation and multi-point inspection. Up to 10 quarts of Mobil 1 full synthetic oil change and ACDelco oil filter. Includes tire rotation and multi-point inspection. ACDelco engine air filter installed. Certified technicians will check the remaining engine oil life, tire wear, wiper blades and glass condition, fluid levels, brakes, battery condition and connections, and much more to make sure the vehicle is ready for the road ahead. ACDelco cabin air filter installed. ACDelco advantage brake pads. Includes rotor inspection. Select ACDleco Advantage Rotors installed. For cars, small SUVs, and Crossovers. Free brake inspection plus take $20.00 off any front or rear brake service. When your Chevrolet is in need of auto maintenance or repair, you don’t want to spend more than you have to. 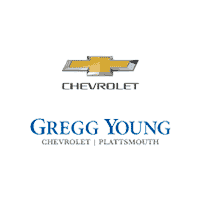 That’s why you should visit the Gregg Young Chevrolet of Plattsmouth service center for our variety of oil change specials and auto repair coupons. We always offer rotating service specials so you don’t need to stretch your budget to keep your Chevrolet in peak condition. For brake service coupons, maintenance specials and more stop by our Plattsmouth location at your leisure! Contact our service team to schedule an appointment or inquire about our current service specials.